$1000 DEPOSIT REQUIRED due to the nature of the internal flights that need to be booked/paid for far in advance. Because these tickets are non-refundable once issued, contrary to our usual terms and conditions governing deposits, once the tour is 'guaranteed' all monies become 100% non-refundable, non-transferrable. Optional Single Supplement: $1108 USD (number of singles limited). This tour may require a mandatory single supplement charge of $548 if you join our share program and we are unable to pair you. 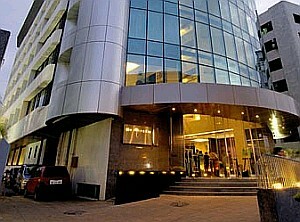 Today we arrive in Mumbai (Bombay) and transfer to our hotel. From humble obscure beginnings as a set of seven small islands, Mumbai has today risen to the eminence of India's most important commercial and industrial centre. At Dhobi Ghat, you can see a bewildering range of India’s contrasts. 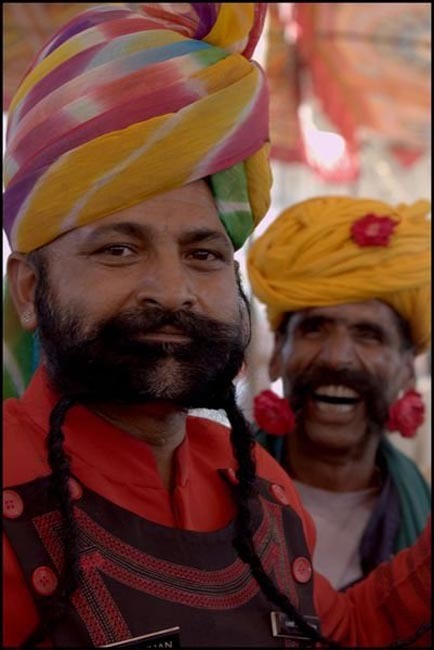 The dhobis (washermen) deal with staggeringly large washes every day. The Gateway of India was conceived as a triumphal arch to commemorate the visit of King George V and Queen Mary for the Delhi Durbar in 1911. The city has several fine examples of colonial architecture including the Afghan Memorial Church, established in 1847 which has Gothic arches and stained-glass windows; the Clock Tower - now called Rajabai Tower, the School of Art, built in the late 1800s, where Rudyard Kipling was born; Crawford Market which has bas-reliefs designed by Kipling's father; the massive Victoria Terminus and the Municipal Corporation building. Also of interest are the Hanging Gardens on Malabar Hill, from where you get a magnificent panoramic view of the metropolis and the Arabian Sea. Marine Drive is a long gracefully curving road along the buttressed seacoast. Later today we fly to the former Portuguese enclave of Goa. Goa achieved fame when Portuguese navigator Vasco da Gama sailed down the Malabar Coast in 1498 in search of "Christians and spices." Although he found neither, Goa became a Portuguese colony separated from the rest of India by the jungle covered hills of the Western Ghats. Goa's heartland and population is located in the alluvial strip inland from the beaches, a lush patchwork of paddy fields, coconut plantations, whitewashed churches and gently meandering rivers. 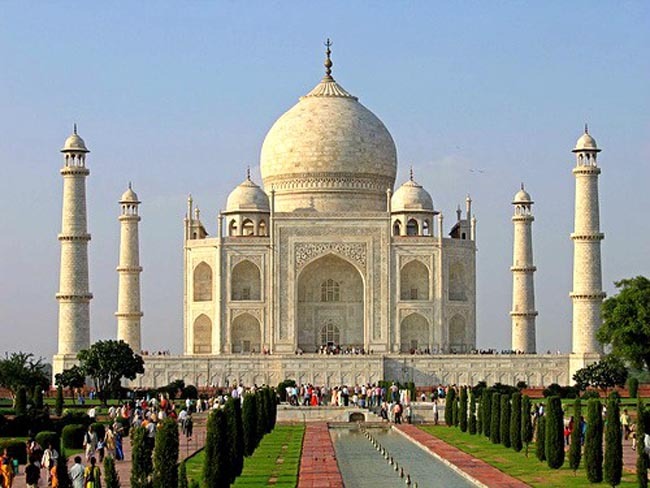 * This outline describes what we would ideally like to accomplish on today's tour; however, flight times and other variables (ie traffic) may affect the overall content of our Mumbai sightseeing. This morning we include a sightseeing tour of Panjim. Proceeding to old Goa, we visit the Basilica of Bom Jesus, built in 1605 by the Jesuit fathers and still the most important church in Goa. Enshrined in a silver casket in one of its chapels, is the body of Saint Francis Xavier. Across the street is the Se Cathedral with an imposing vaulted roof, massive pillars and fourteen magnificent altars. Later we visit the Convent of St. Francis D'Assisi and the Chapel of St. Catherine. This afternoon is free to enjoy this laid-back town. Today we travel to Badami, a full day's journey. On arrival we visit Badami. * Sculpted out of solid rock, the temples are adorned with dwarfs, an 18-armed Shiva, a Nandi bull, Lord Vishnu and the goddess Durga. 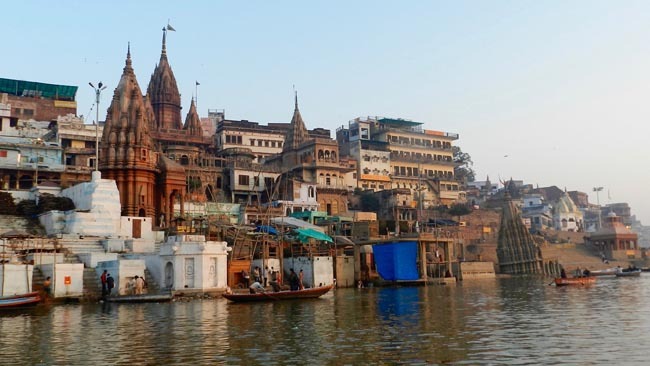 The famed Durga Temple represents the blending of southern and northern styles of architecture. * Depending on our timing today, we may accomplish Badami sightseeing tomorrow morning. We travel by road to Hospet. We make a stop at Aihole. 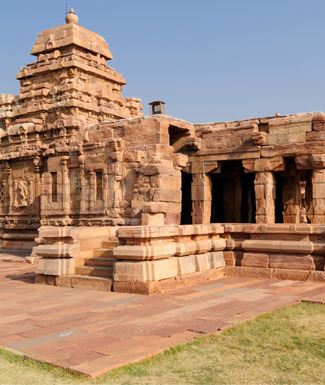 The seventy temples at Aihole exemplify Hindu medieval art. 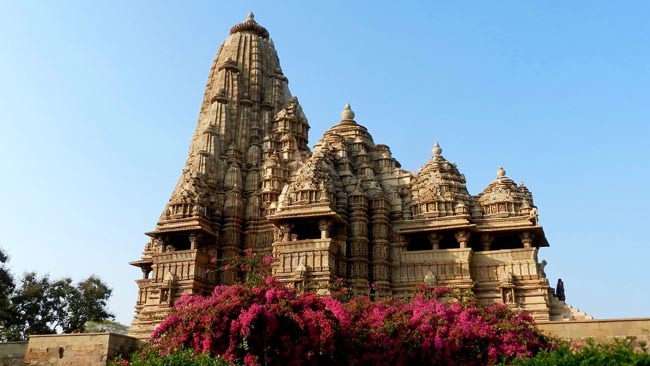 The Durga temple with its pyramidal roof has some remarkable sculpture, and the Jain Meguti temple is composed of 630 small stone blocks. 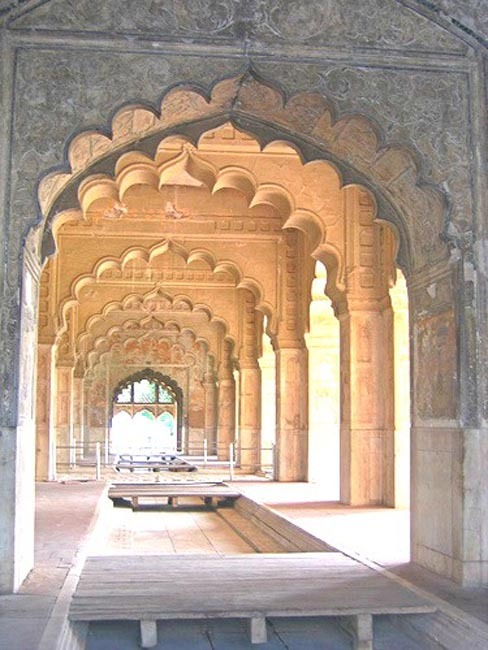 We also visit Patadakkal, the place where the Chalukuan kings had their coronation ceremonies. The ceiling of the Papanath temple, built around 680 AD, has a carved smiling Shiva, appearing to bless with his outstretched palm from whatever direction he is viewed. The Virupaksha Temple is a curious figure -- an elephant on one side and a buffalo on the other. After breakfast we depart for a day trip to Hampi, the seat of the famed Vijayanagara Empire, which was the capital of the largest empire in post-Mughal India, covering several states. Although in ruins today, this capital city once boasted riches known far beyond the shores of India. The ruins of Hampi of the 14th Century lies scattered in about 26 sq. km area, amidst giant boulders and vegetation. 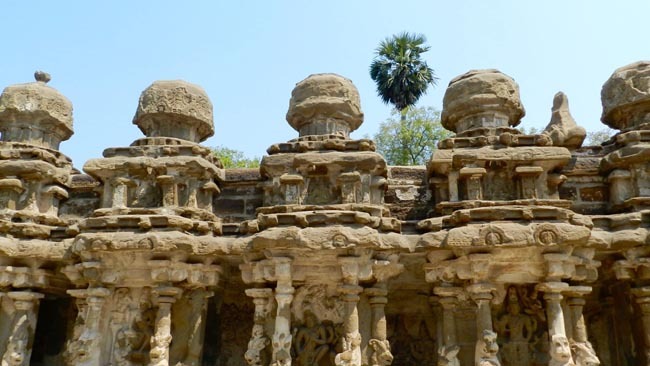 Protected by the tempestuous river Tungabhadra in the north and rocky granite ridges on the other three sides, the ruins silently narrate the story of grandeur splendour and fabulous wealth. The splendid remains of palaces and gateways of the broken city tell a tale of man's infinite talent and power of creativity together with his capacity for senseless destruction. After an early breakfast, depart on the long (+/- 7 hours) but interesting drive through rural Karnataka to Hassan. Upon arrival check-in at the hotel. Today we visit Belur and Halebid. 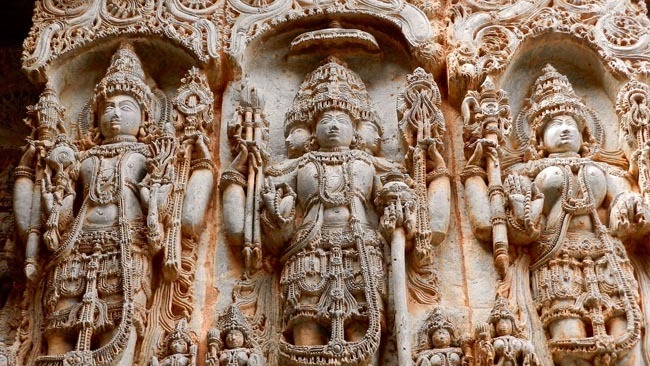 Halebid was the seat of Hoysala Kingdom; its great Hoyaleswara Temple was built in the typical Hoysala style. The temple, dating back to the 12th century, is astounding for its wealth of sculptural details. 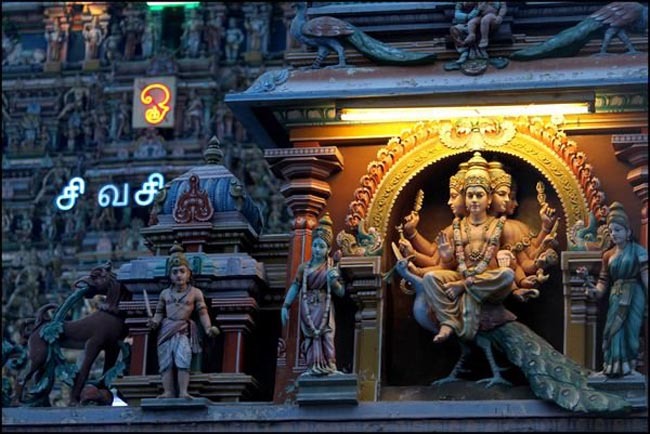 The walls of the temple are covered with an endless variety of gods and goddesses, animals, birds and dancing girls. 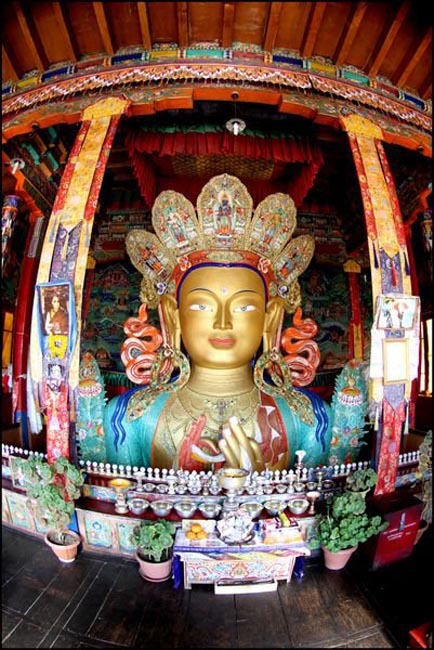 Yet no two facets of the temple are the same. 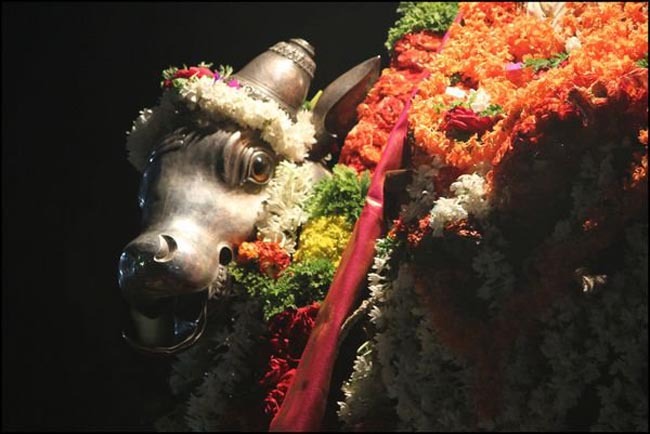 This magnificent temple -- guarded by a Nandi Bull -- was never completed, despite 86 years of labour. This morning we travel to Mysore, arriving around midday. In the afternoon we explore Mysore, famous for its silk and sandalwood, as well as its numerous palaces, well laid out boulevards and beautiful parks. The Maharaja's Palace is the most impressive of Mysore's ochre-coloured buildings -- a modern edifice built in 1897, where the oriental decorative imagination runs wild. 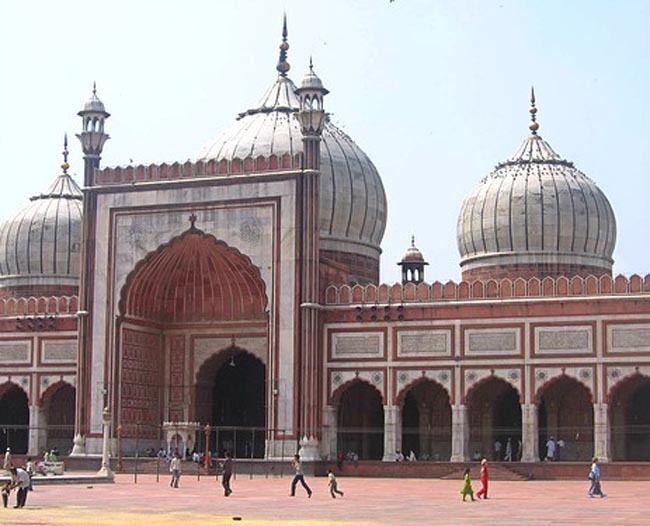 One of the largest palaces in India, it is a gigantic synthesis of Hindu and Muslim styles. The royal family's private chambers, including the impressive Durbar Hall, are open to the public. The Marriage Hall has life-like paintings of the Dassera procession and in the museum is the ruler's golden elephant throne, used during festivities. Chamundi Hill lies 10 km from Mysore and is named after Chanduswari, the consort of Lord Shiva and the patron goddess of the royal family of Mysore. On the way up is a colossal figure of Nandi, carved out of a single rock in 1659. The view from the top of the hill is superb. Today we travel by road to Bangalore, the cosmopolitan capital of Karnataka. Bangalore is called the Garden City for it's delicate blossoms and greenery that impart a unique beauty to this lovely city. 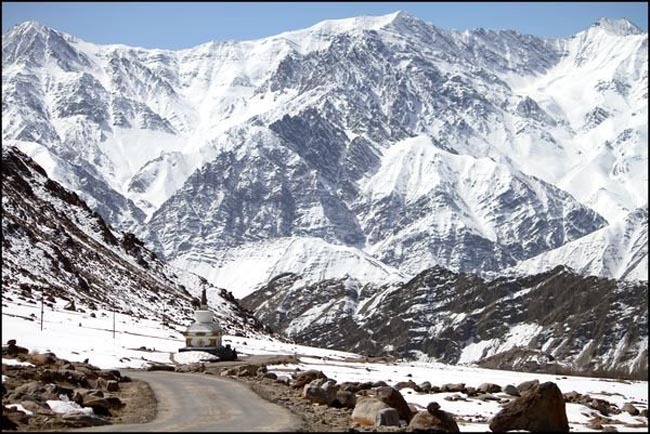 The weather is the city's best feature, with pleasant summers and bearable winters. Bangalore, which literally means the 'town of baked beans', was founded by Kempe Gowda, a chieftain of the Vijayanagar Empire, around the 16th century. 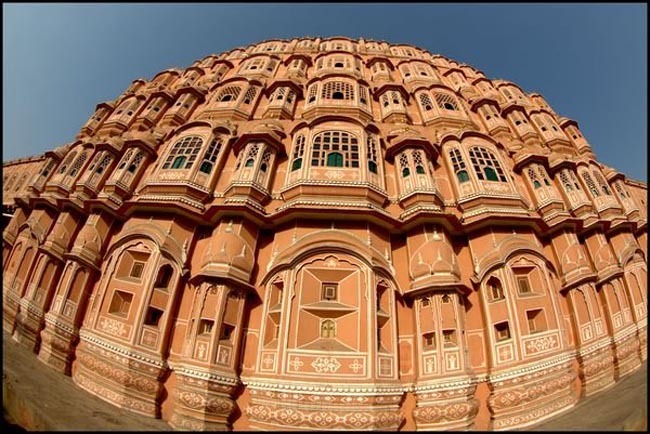 He built four towers in four directions to specify its boundaries. 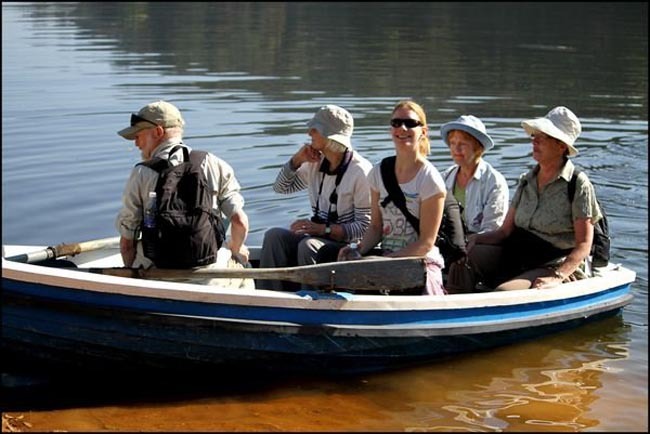 On arrival we tour Bangalore, visiting the Lal Bagh Botanical Gardens, which has a variety of old trees, fountains, lotus pools, terraces and an assortment of tropical herbs and subtropical herbs. We also see the government buildings. Early this morning we fly to Kochi (Cochin). The history of European involvement in Kochi, from the early sixteenth century onwards, is dominated by the aggression of, successively, the Portuguese, Dutch and British, competing in their desire to control the port and its lucrative spice trade. 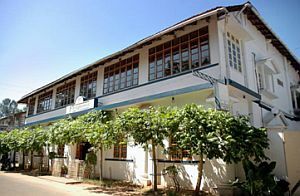 From 1800, the state of Cochin was part of the British Madras Presidency; from 1812 until Independence in 1947, its administration was made the responsibility of a series of diwans, or financial ministers. In the 1920s, the British expanded the port to make it suitable for modern ocean-going ships; extensive dredging created Willingdon Island, between Ernakulam and Fort Cochin. 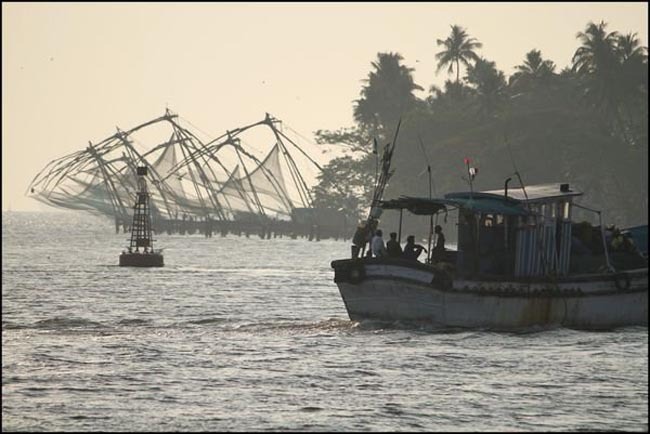 On arrival we have a tour of Kochi, including: Chinese fishing Nets -- A legacy of one of the earliest visitors to the Malabar coast, these nets are unmistakable as one enters the harbour. 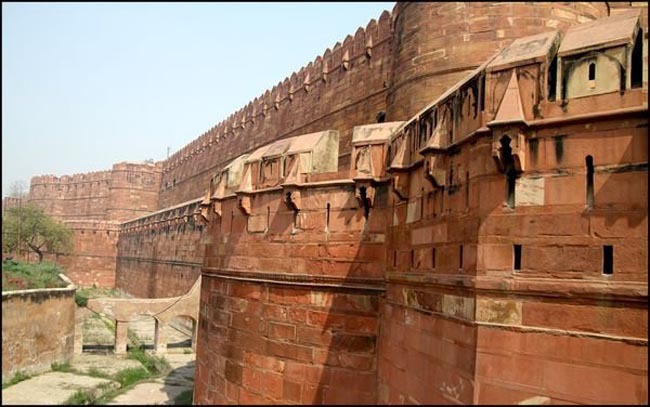 Records show that they were first erected between AD 1350 and 1450. Constructed out of Teak wood and Bamboo poles, they work on the principle of balance. The best place to watch is from Vasco Da Gama square, a narrow promenade that parallels the beach with little stalls that serve fresh seafood, tender coconuts and so on. Santa Cruz Basilica: Built by the Portuguese, the church was elevated to a Cathedral by the Pope Paul IV in 1558. Spared by the Dutch conqueror of Cochin who destroyed many Catholic buildings in 1663, it later fell into the hands of the British who demolished it when they took over Cochin in 1795. For almost 100 years there was no church on the site, until the Bishop Dom Gomez Vereira commissioned a new building in 1887. We continue by road to Alappuzha (Alleppey), known as the "Venice of the East", situated on Vembanad Lake, the longest in India. A maze of canals and a network of bridges give this busy commercial town its descriptive sobriquet. 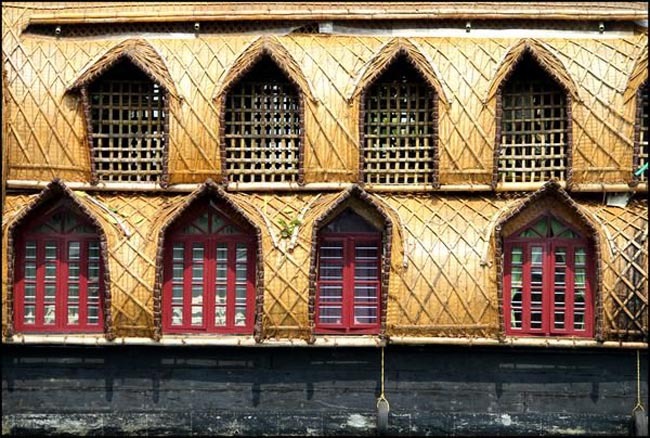 Alleppey is known for its coir, the retted fibre of the coconut husk and for black pepper. 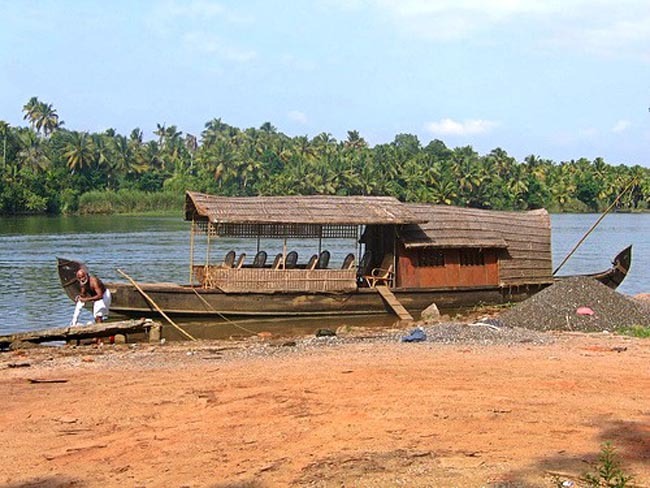 Today we board our houseboat for a very special Kerala delight -- a slow boat through its forests and palm-shaded canals. 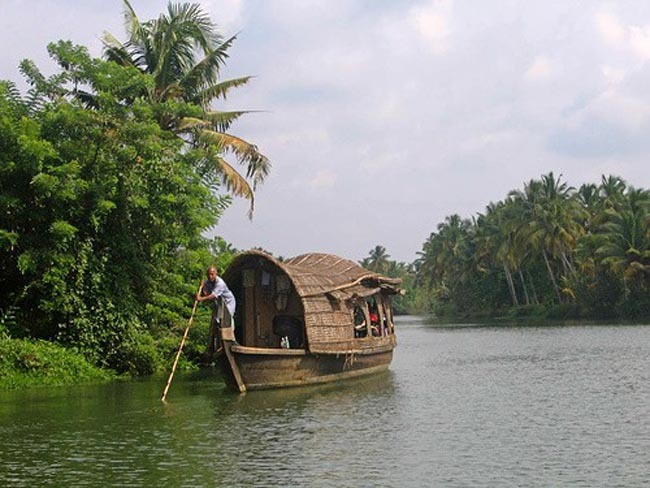 We take a leisurely cruise on the beautiful backwaters, enjoying the magnificent scenery along the waterways and stopping to admire what history and religion have left along the way. THE HOUSEBOAT will be approx 60 feet long and 13 feet wide in the middle. There are comfortable beds, and traditional lanterns, and air-conditioning. There will be a sundeck for daytime relaxation. The boats are made of local natural fibres that truly echo the villagers harmony with the natural surroundings. 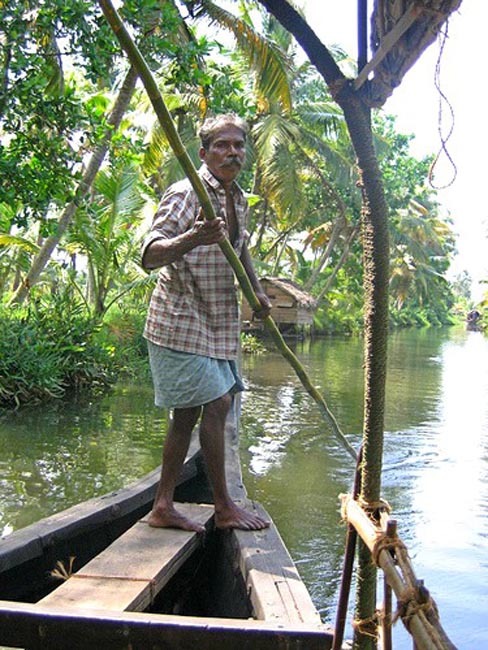 As your oarsman slowly and silently propels us along the backwaters, we will enjoy the magnificent scenery along the waterways. We will stop to view working villages and witness locals fishing, swimming, crafting, and bathing (most boats will have oarsman though some will be motorized with a silencer on the motor). NOTE: Single cabins are NOT available on the houseboat. Single supplements reflect sharing for this one night. Today we return to Kochi and fly to Chennai (Madras). Chennai, the capital of Tamil Nadu, is, like Mumbai and Calcutta, a comparatively modern creation. It was founded by the British East India Company in 1639, on a narrow five-kilometre strip of land between the Cooum and Adyar rivers, a few kilometres north of the ancient Tamil port of Mylapore and the Portuguese settlement of San Thome, established in 1522. The British were repeatedly challenged by the French who, in 1746, destroyed much of the city. Today we travel to 60 km (37 mi) to Mahabalipuram (also known as Mamallapuram), the seaport of the ancient Palava dynasty of Kanci. The temples and carvings here date back to the 7th century. They stand out because of their simplicity and the fact that they also depict many scenes from the every-day life of every-day people. 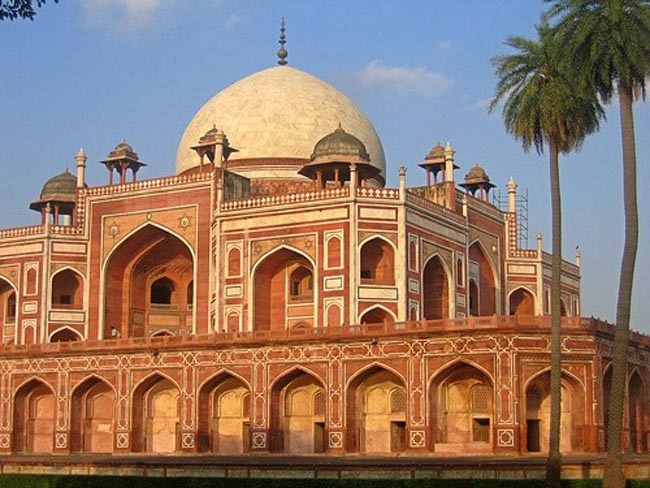 It is now recognized as the site of some of the greatest architectural and sculptural achievements in India. After a comprehensive tour of the site and relaxing lunch break next to the Bay of Bengal we return to Chennai. Chennai, the capital of Tamil Nadu, is, like Mumbai and Calcutta, a comparatively modern creation. It was founded by the British East India Company in 1639, on a narrow five-kilometre strip of land between the Cooum and Adyar rivers, a few kilometres north of the ancient Tamil port of Mylapore and the Portuguese settlement of San Thome, established in 1522. The British were repeatedly challenged by the French who, in 1746, destroyed much of the city. Robert Clive ("Clive of India"), then a clerk, was taken prisoner, an experience said to have inspired him to become a campaigner. Clive was among the first to re-enter Chennai when it was retaken three years alter, and continued to use it as his base. Following this, fortifications were strengthened and the British survived a year-long French siege (1759), completing the work in 1783. By this time, however, Calcutta was in the ascendancy and Madras lost its national importance. Our city sightseeing of Chennai includes a visit to the National Art Gallery and Museum, which has a selection of ancient paintings from almost all schools of art, as well as a section entirely devoted to modern art. We will visit Fort St George, once a stronghold of the British; St Mary's Church, the oldest Anglican church in India; the San Thome Cathedral where the remains of St Thomas the Apostle are believed to have been buried; the Mylapore Temple dedicated to Lord Shiva and the Light House which is the only one of its kind in the world to be located on top of a High Court. We drive along the Marina, the thirteen kilometre-long beach which, with its shining white sands, aqua blue sea and violet lights at night, is the pride of Chennai. PLEASE NOTE: If you are booking your own air, please ensure that your flight departs AFTER 8 pm (or miss today's sightseeing tour). The Mirador hotel houses the 100 elegantly styled rooms. The in-room facilities include herbal toiletries, bathrobes & shower cubicles, tea/ ...	makers, mini bars, individually controlled thermostats, air-conditioning. Cidade de Goa has a full-service spa, a health club, an outdoor pool, a spa tub, and a steam room. 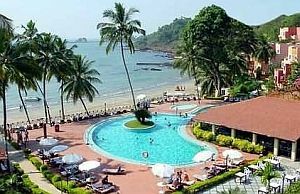 ...	North Goa property has a restaurant, a bar/lounge, and a poolside bar. Guests are served a complimentary breakfast each morning. 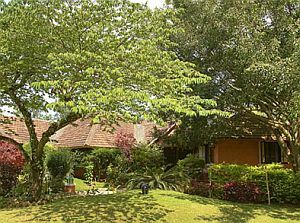 Hoysala Village Resort is a lovely hotel set in beautiful landscaped grounds. The food is great and the service is ...	and very personal. The rooms are immaculately clean. 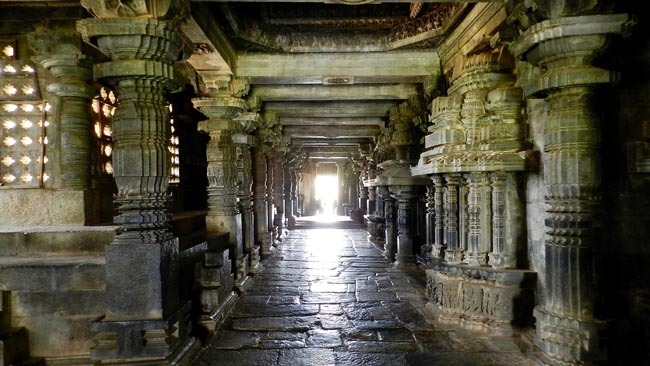 It makes a great base for exploring the temples at Halebid and Belur. Regaalis is located in the heart of the royal garden city of sightseeing spots, both historical and scenic. This luxury ...	in Mysore is a sprawling complex on 3 acres of lush green landscape and its majestic edifice of grace and grandeur is a tribute to modern architecture. 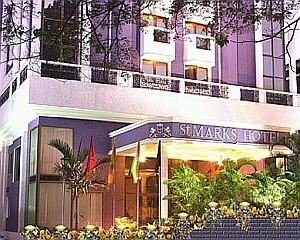 St. Mark’s Hotel is located in the heart of Bangalore, the Garden city of India. The hotel has 95 smart ...	comfortable rooms with WI-FI internet, attached bath & shower, direct dial telephones, individually controlled air-conditioning, 2 channel hi-fi music and cable color TV. 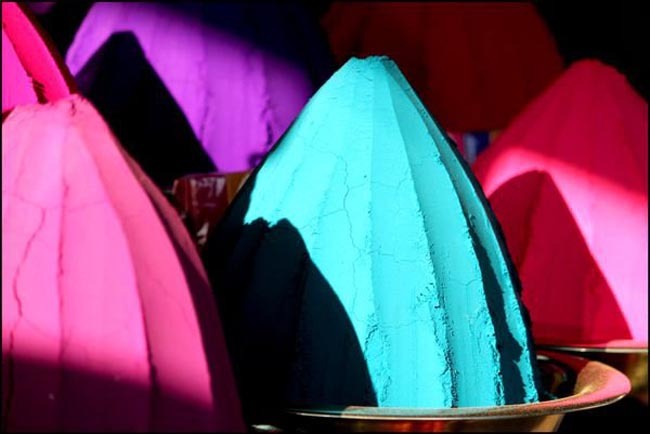 First propelled into prominence in the year 600BC,Kerala became the refuge of the Jews, a trading partner with the Egyptians ...	Chinese in 300BC and a colony of the Dutch in the 15th century and the British in the 18th century. The hub of spice trade and the most convenient port of call in the southern peninsula, Kochi enjoys its sobriquet as the Queen of the Arabian Sea. Breakfast and dinner are included daily, one lunch. Evening meals on tour will be taken mostly at hotels. In India, most restaurants of an international standard are associated with hotels. In some locales we endeavour to break up the buffet dinners with a meal at a local restaurant but, overall, the imperatives of hygiene and quality dictate hotel meals. All transport, accommodation, sightseeing and entrance fees are included for sites noted as 'visited' in the detailed itinerary. Gratuities for drivers, restaurant staff, porters, local guides. Airport transfers for land & air customers and for early arriving/ late departing land & air customers who book their extra hotel nights through us. International airfare to/from the tour. Tour Leader gratuities, lunches, drinks, personal items (phone, laundry, etc), domestic and international (if applicable) air taxes, visa fees, and any excursions referenced as 'optional'. Airport transfers for Land Only customers. Optional trip cancellation insurance. Our post-reservation trip notes offer further guidance on shopping, not included meals, visas. For most of the country, late October-March is (by far) the best time to visit. During those months, temperatures range from 65-95 F/19-37 C in the south. March-June is dry and exceedingly hot (85-110 F/30-44 C), and June-October is monsoon time (20-80 in/50-200 cm of rain will fall in one season). While conditions can vary widely, you must be prepared for some sticky heat. Ground transport via private air-conditioned motor coach. Internal flights via scheduled carriers. The tour is not physically strenuous though it is busy; you must be prepared for some early starts, be steady on your feet, and be able to endure some heat and long days. 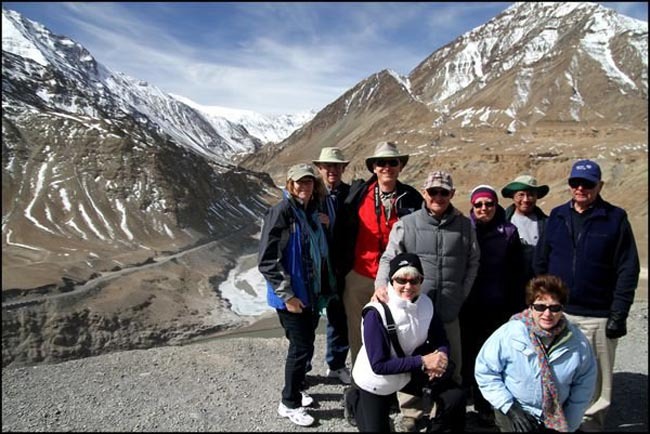 We have numerous walking tours and visit several sites that are LARGE with steps and uneven surfaces. Porters are available at hotels but you must be able to manage with your baggage at airports. 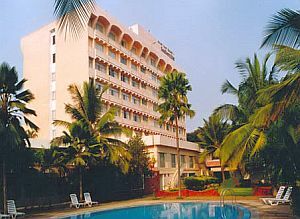 Accommodation in air-conditioned 3-4 star hotels. Hotel properties are mostly modern and Western style. Some are older, heritage / character properties with simpler rooms and perhaps no elevators (and no "star" rating). Some properties have swimming pools. Single rooms are limited and possibly smaller than twins. Laundry services at most hotels for a modest cost. 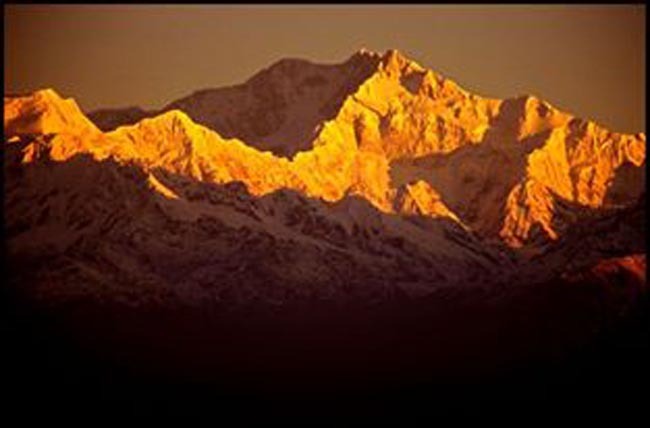 Porters are generally available (see 'Inclusions'). THE HOUSEBOAT will be approx 60 feet long and 13 feet wide in the middle. There are comfortable beds, and traditional lanterns, a sundeck for daytime relaxation. Some of the houseboats have the provision for air-conditioning, but most travellers do not care for the all-night gasoline engine noise required to run the units. Most people find that the peace and quiet, and comfort provided by a fan, are preferred. NOTE: Single cabins are NOT available on the houseboat. Single supplements reflect sharing for this one night.